You can load up to 50 clays with the Do All Outdoors Raven Trap. This clay launcher by Do All Outdoors handles standard or bio clays and features 5 to 35 degree adjustable angles. The Do All Outdoors Raven comes with a built-in pull handle for easy carry and storage. 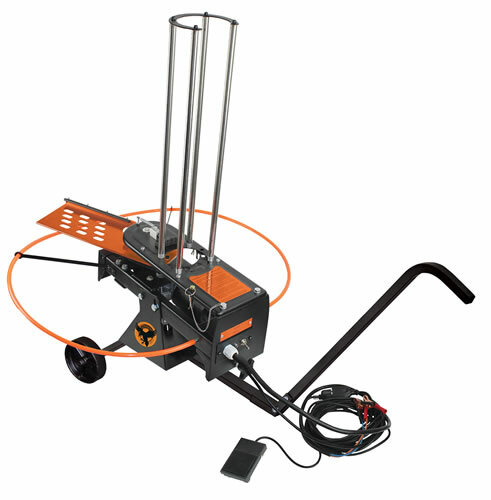 The Raven Trap features 0-80 yard throws, a 50-target auto feeder, a 25 foot pedal cord for different angle shots - one person operation, and an On/Off/Release switch for easy operation. It is remote compatible.